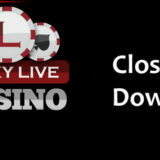 Lucky Live Casino has announced that it has closed it’s doors and will no longer be operating as an online casino. Existing players are being emailed a link so they can complete the migration process and new players who find Lucky Live Casino will be directed automatically to Fairway Casino. The migration is part of a rationalisation program by the operator to “maintain the highest standards of quality and performance for both gaming and cashier platforms”. 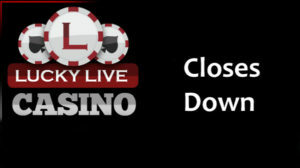 Lucky Live Casino has already been closed so existing players should follow the details in the email to ensure they can get access to any existing account balances. New players will automatically be directed to Fairway Casino. I’ve been playing at and promoting Fairway Casino for the past few years and they are a good casino with great live games, in fact I much prefer them to the live streamed games that were at Lucky Live.